Racquetball is a charged and exciting game for any age. If you go by numbers, there are players in their 50s and 60s, some of whom have switched over from a more power-heavy game while others are new to the game. Some older veterans have been playing for years and they’ve found that the older they get, the better their technique becomes. There is no age or gender restriction when it comes to racquetball. Whether you’re playing for the first time or picking up a racquet after a while, you’ll need to consider a few things. 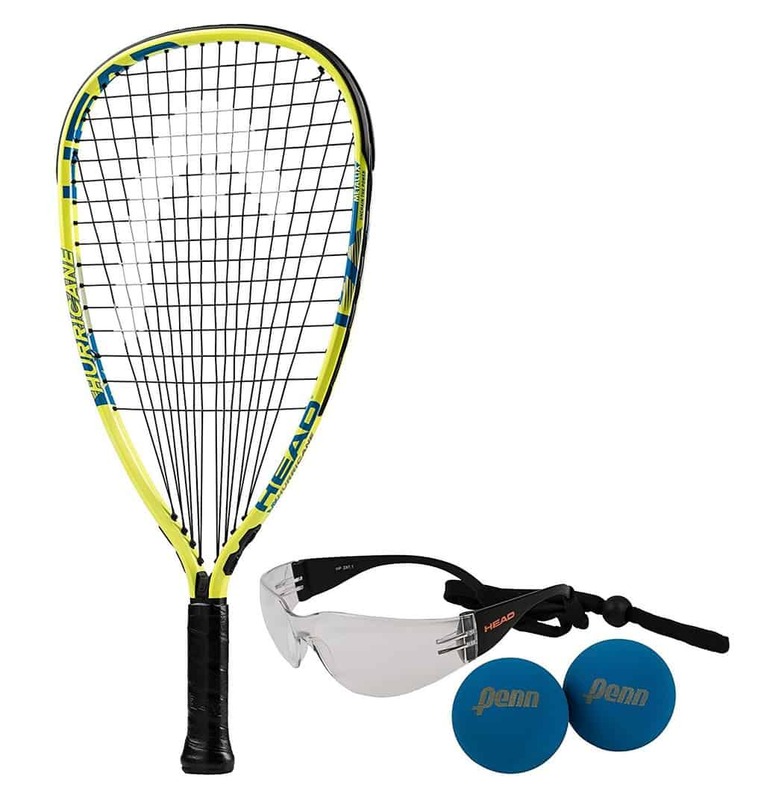 For Older Players, these quality racquetball racquets are the best choice to make in 2019. Irrespective of your age, if you’re an older player above 40 who is new to racquetball, you shouldn’t jump into court right away. The first thing you’ll need to do is to get a complete physical examination. Your exam should include a stress test. If these tests suggest that you’re fit, then you can slowly start enjoying the game. The emphasis is on the word slow. This means long, quality warm-ups and plenty of stretching to get the blood flowing to all your muscles. With aging, your circulation slows down. Your maximum oxygen intake and heart rate also go down. You may have joint problems that come with age and are quite painful. You should always go slow with your game and never try to indulge for longer than you feel comfortable. When you’re older, your risk for injury is higher, especially when you join a new activity that exercises parts of your body that haven’t been exercised for some time. Slow and cautious is the way to go when you’re starting with racquetball at an advanced age. Yet, the sport is not as strenuous as other racquet sports like squash, for instance. You can have a slow swing and rally near the baseline. As with all beginners, a beginner of advanced age should ideally use racquets that are on the heavier side. Buying a racquet for a beginner will be a slightly different exercise from buying a racquet for someone who is picking the game up after some time away from it. Someone who has played before may find that their swing is slower than it was. Those who have played for some time may already have good control and touch. But since they are returning to the game after a while, the higher chances of injury exist here too. A heavier racquet weighing 185 grams or more is recommended for older players in order to protect against injury as well as add to power. A heavier racquet has a better ability to absorb the shock of impact with the ball. If you’re picking the game up after a decade or so, you may be surprised by the changes in racquet technology. Modern developments and racquet technologies have led to new designs. In the process of searching for the perfect racquet for you, you may come across a confusing fact. Many lighter racquets are designed with heavier head weights. Several heavier racquets have lighter heads. If you compare these racquets all other factors being equal, you’ll find they have similar swing weights. So, how does one choose a racquet? Going by swing weight is the best way to figure out how a racquet will feel on court. You may find that hitting the sweet spot all the time is going to be difficult when you’ve been away from the game for some time. It’s a good idea to look for a racquet with a more forgiving sweet spot. There’s a reason why beginner racquets have a quadraform shape, since this shape has a larger sweet spot than the teardrop shape. Also, make sure that the grip is as small as you can comfortably hold. A smaller grip means the racquet will be easier to swing and you’ll have a power advantage. Here is a look at some of the top racquets that older players will find comfortable and effective to use. Racquets by HEAD and E-Force are particularly popular for older players. HEAD i.165 is good for older players who are returning to racquetball or switching over from power play to more controlled play. 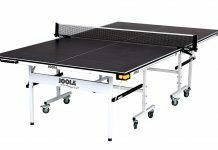 The racquet offers a medium swingweight of 157 kg x cm² that will give you a balance between control and power. When it’s unstrung, the i.165 weighs 165 grams. The strung weight is a weighty 184 grams that is comfortable to play powerful shots with, without straining too much. Another important factor to consider is the balance. The racquet has a 7 point head heavy design. The heavier head has a stiffer frame that is able to absorb impact, protect your arm from injury and deliver power in your shots. The head size is 103 sq. inches in a teardrop shape. The teardrop shape has a smaller sweet spot than the quadraform shape. However, the string bed has a 16 by 19 pattern that is one of the common string patterns in racquets today. Another special feature about the strings is the Intellifiber technology used in them. This is HEAD’s proprietary technology that has the effect of transforming the ball’s mechanical energy on impact into electrical energy. This adds more stiffness to the string and adds more power to the racquet. The grip is a small 3 ⅝ inch in a wrap design that is comfortable to hold. As the name suggests, the E-Force Apocalypse is a racquet made for powerful play. It’s designed for advanced players, and the sub-$200 price reflects this. The racquet has an accurate and large head with a forgiving sweet spot. The price is also a reflection of the several high-end technologies used in the Apocalypse. 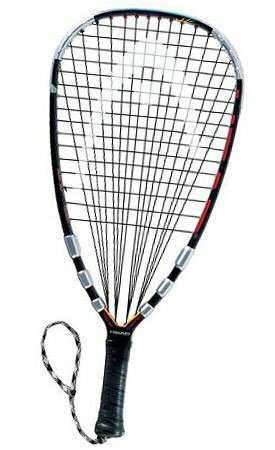 If you are an older player looking for a racquet to deliver power and performance and improve your game, this is an excellent racquet to try. 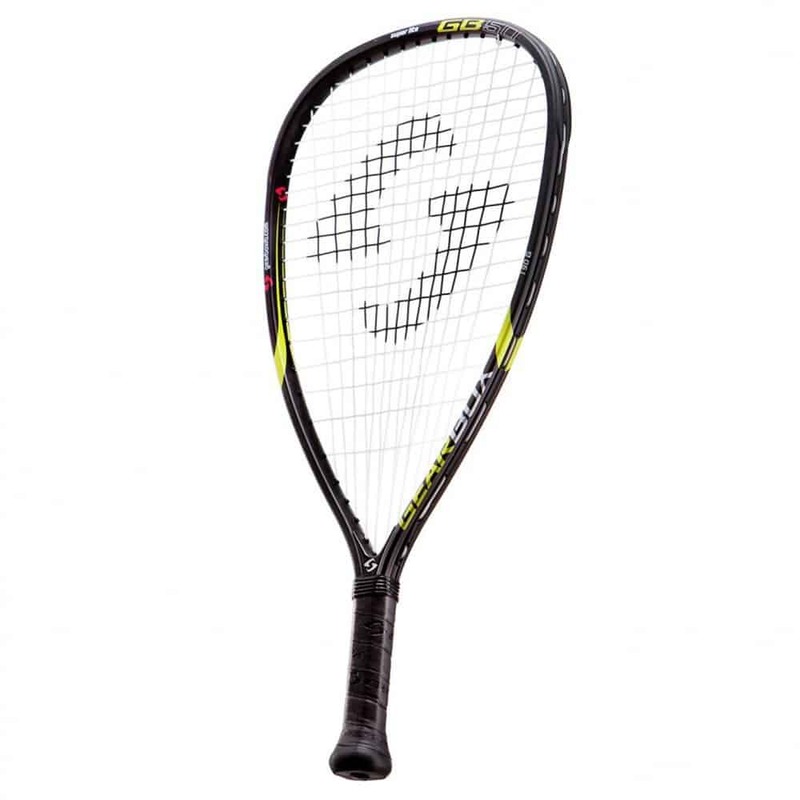 The racquet is available in four weights, from a lightweight 160 grams to 190 grams unstrung. One of the high-end power technologies that are featured in the racquet is the G2 power boosters. Eleven cross strings are fitted with booster tubes at the ends, These tubes stabilize the spring bed and reduce vibrations. Another special feature is the Powerhouse Shaft Technology. The handle of the Apocalypse is hollow for several reasons. It allows the string to be stretched the full 22 inches into the handle. This means more power and leverage when you hit the ball. Also, the hollow shaft places the mass of the racquet closer to the hitting surface. Again, this means more power. Extreme LongString technology means that the strings on the Apocalypse are as long as they possibly can be. The longer the string, the better deflection, and the power you get from the racquet. Older players will benefit from the racquet doing most of the work as they play. Zero Richter Tubes help to minimize vibration in the racquet and the bypass stringing system skips two holes. The ball never hits two main strings at a time. The frame is a graphite and titanium composite, for strength and flexibility. The two cylinder frame increases the durability of the frame and also makes the frame stiffer, so your shots are more powerful. The four different weights that E-Force offers also come in two different shapes. The racquets that weigh 160 gram and 175-gram racquets have quadraform shapes that offer better control and power. The 170 gram and 190-gram racquets have powerful teardrop-shaped racquets. The E-Force 2016 Bedlam 170 Lite weighs 170 grams when it’s unstrung and comes fitted with E-Force Platinum 17 gram string. The racquet head is a large 107 square inches and has a teardrop shape. It is balanced to be nearly equal, and is only slightly head heavy at a point ¼ inch from the center of its 22-inch length. The racquet features E-Force Power Boosters that give it great power. The Power Boosters are tubes with large diameters that are placed at the ends of eleven cross strings. These tubes help to reduce vibration and stabilize the string bed. You’ll find that even off-center hits are quite powerful. The technology effectively increases the sweet spot. Combined with the large head size, the Bedlam Lite is quite forgiving when it comes to the sweet spot, despite a teardrop shape. The racquet also features a launch pad technology. You’ll find the throat area of the racquet has the cross strings removed. This increases stringbed deflection and therefore power across the mainstrings evenly. May need to be broken in for soft shots. Head Liquid Metal is a fantastic racquet at a price a little over $100, that comes in three different weights for different skill levels. Older players will find the Total Sweetspot Construction technology makes for a very comfortable and vibration-free play. The high-quality dampening effect lowers the risk of injury from impact with the ball. The construction of the head with its corrugated design also makes the racquet more durable. The Liquid Metal offers a good balance between control and power, for players between 2.0 and 4.0 level. Ideally, this is a good racquet for players who have a medium to short swing lengths. 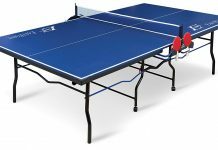 This is a good racquet for older players who have been at the game for a while and want to improve their technique. You can easily add more spin to the racquet because of its spin-friendly string bed. 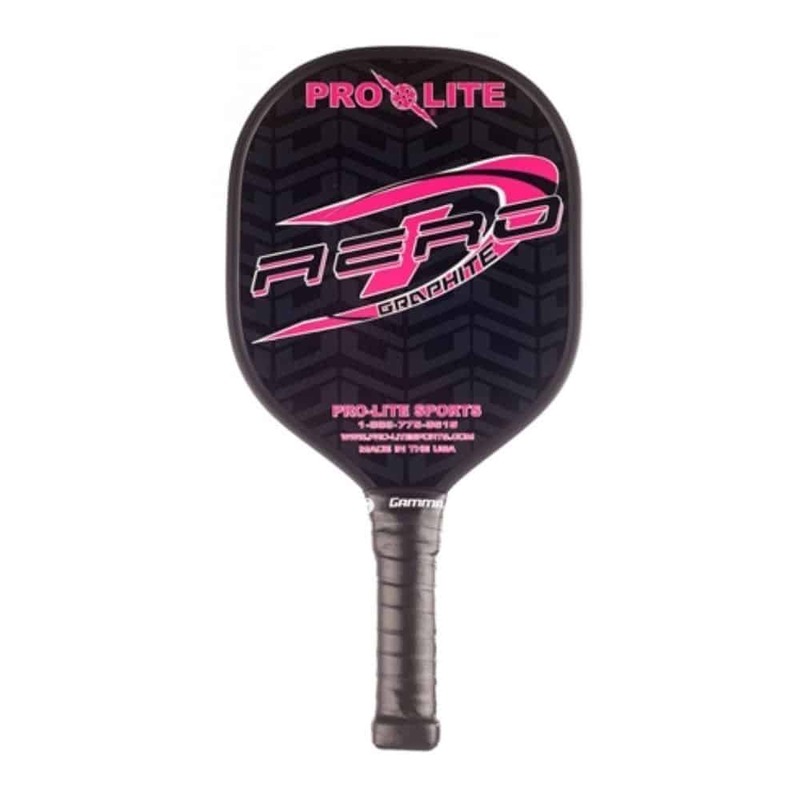 The 112 square inch head size is large and offers plenty of space for good placement, which you’ll appreciate if you’re returning to racquetball after a period of absence. The racquet is 4 points head heavy, which makes for a medium swing weight. It is quite lightweight unstrung, and weighs 266 grams when strung for powerful shots. The strength of the racquet is enhanced by its graphite and titanium construction, with piezzo electric fibers for stiffness. The comfortable HydroSorb grip makes it comfortable to play with. This is another offering from HEAD that older players will appreciate. The Extreme Edge has a reasonably large head size of 106 square inches, and weighs 175 grams when unstrung. It is also priced within $100. 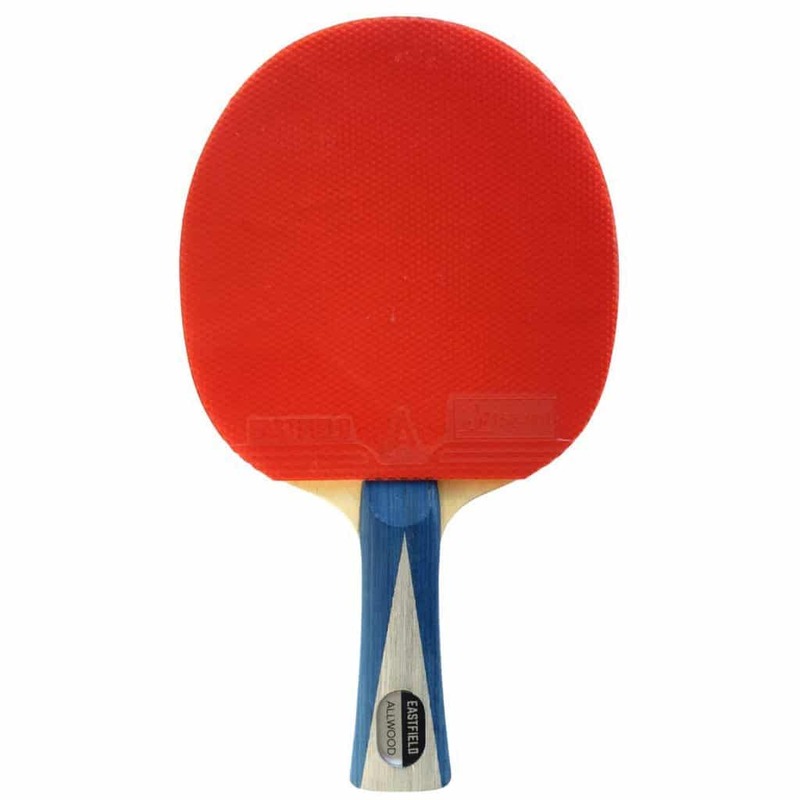 It features a small grip for better wrist action and has a 16/16 string pattern that is great for power and spin from the baseline. The racquet features HEAD’s Innegra technology, which you’ll find in many other higher-end racquets. This technology makes for a stiffer hybrid carbon composite frame that improves performance and durability. Your racquet will be more powerful and last longer. Another feature is the Adaptive Fan Pattern (AFP) that lets you customize the string pattern depending on whether you’re a power player or someone who prefers to focus on feel and touch. Every time you get your racquet strung, you can choose between a dense fan pattern for more stiffness, power, and control, or a traditional straight pattern. Power channels make each string longer for an even stiffer string bed. There are twin tubes at the head for greater stability as you play each shot. It has a Delta frame shape, which means the frame top is flatter and adds to power. 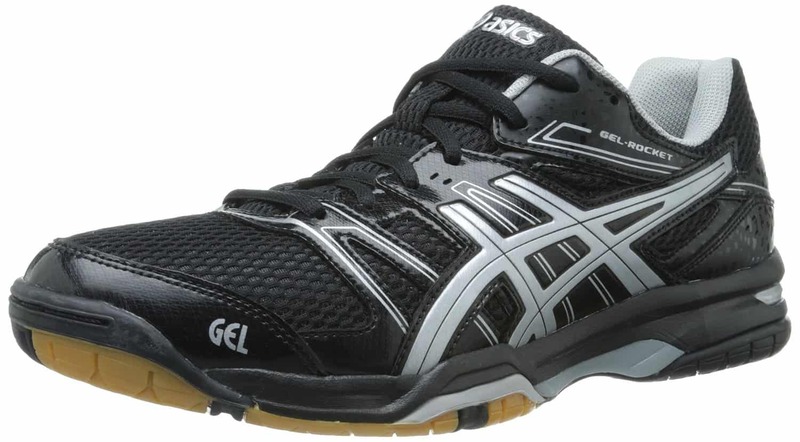 Now you can buy the best racquetball racquet as all these racquets are best for older players. In case of any query, you can use the comment section.